Oladipo Olaitan, National Financial Secretary of the apex Yoruba socio-cultural body, Afenifere, has alleged that the national leader of the All Progressives Congress (APC), Bola Tinubu, became a Senator through an act of deceit. 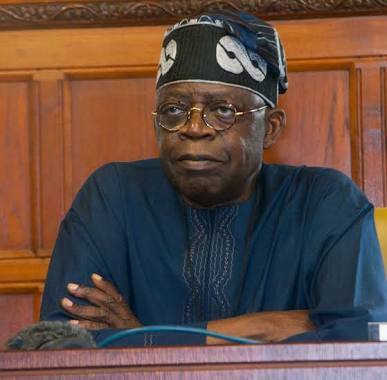 According to him, officials of the National Electoral Commission (NEC) in 1993 asked some Senatorial candidates and electorates in Lagos to go home due to poor weather condition only for the same officials to conduct an election that saw Tinubu elected as Senator. Olaitan, who was a candidate in that election, told Vanguard: “In 1993, I contested for the Senate in Lagos here with Tinubu, Odi Onikosi of blessed memory and Dominic. Tinubu was just coming into politics at that time. “On the day of that election, we were all filed up, you know it was Option A4. Sarumi was the person we knew, nobody knew Tinubu then. So Sarumi stood in front. Sarumi was the head of their group then known as Primrose. “It started to rain so heavily that the electoral officers asked us to go home, but to our chagrin, some people came back and they were counted. My Incarceration Will Further Reinforce My Loyalty To Fayose – Hon. Afolabi Akanni. PDP CHAIRMANSHIP RACE : ALLOW LEVEL PLAYING FIELD, YORUBA GROUP URGES BOT.